What a sentence! 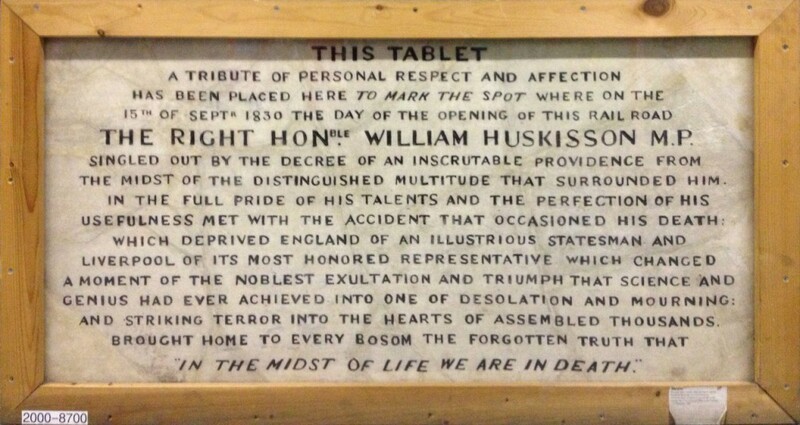 Never forget the Right Honourable William Huskisson MP, possibly “the world’s first widely reported railway casualty”. People just don’t write tributes like they used to, eh? Just one of the many treasures in the National Railway Museum‘s warehouse.